Cast your mind back, if you will, to the summer of 2012. Close your eyes for a moment and picture a puffed up Prime Minister waxing lyrical about the morality of paying taxes. Listen as he chastises the rich and famous, like comedian Jimmy Carr, for funnelling their money off-shore to avoid making a fair contribution to society. “I think some of these schemes – and I think particularly of the Jimmy Carr scheme – I have had time to read about and I just think this is completely wrong” lectured Cameron, full to the brim with pompous indignation. There was more as he invoked the hard working people, at the heart of his ‘big society’. Of course we now know the true depths of Cameron’s hypocrisy and, while it’s not at all surprising to many of us, it is nonetheless repulsive. Not only was the Prime Minister’s own father a major beneficiary of these ‘dodgy schemes’, managing to avoid paying tax for thirty years and enriching his own family into the bargain, but the Tory Party its self is funded by money that could and should have been supporting economies all over the globe. When challenged specifically on his father’s involvement in tax evasion, the Prime Minister’s spokesman responded somewhat arrogantly by stating that the subject was a”private matter”. 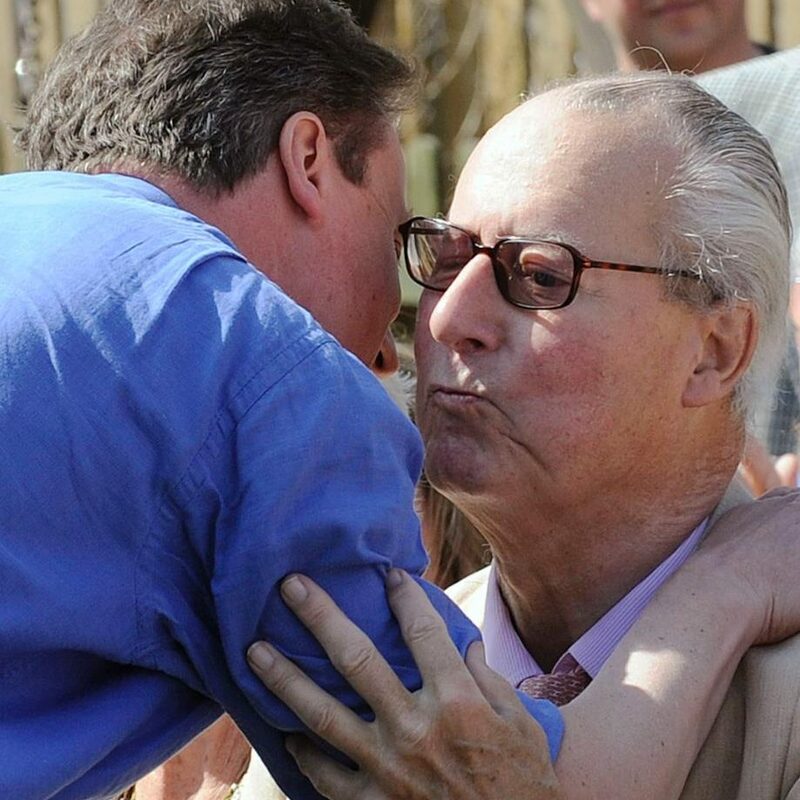 It seems there’s one morality for comedians and another for the parents of Prime Ministers. If only the hypocrisy stopped there. It doesn’t. Sadly this a government that brands refugees, fleeing death and destruction, as economic migrants, opportunists who are simply after a slice of our pie. At the same time they turn a blind eye, or worse actually benefit from speculators who line their own pockets, while the rest of us pick up the tab for their failed economics. This same government has proposed robbing the disabled of £30 per week, while at the same time handing out tax breaks to the highest earners. Of course they had to back away from that one, but their allegiances are clear. Whether it’s taxation, welfare, housing, education, healthcare or the steel industry, David Cameron’s ‘Big Society’ stretches only as far as the boardroom. Time and again the claim that the Conservatives are the Party of hard-working people has been exposed for the meaningless slogan it is. Surely we must also now put to the sword another enduring myth; the one that suggests all of us can aspire to the good life, if only we work hard enough. How can anyone still believe this, after witnessing British steel workers sacrificed so that our government can curry favour with the Chinese? Revelations that the rich and powerful practice greed on an industrial scale, have surely dealt the myth of the upwardly mobile working poor its fatal blow. To put it simply, you can work as hard as you like, you can save as much as you want, but the gap between those at the bottom and the top just keeps getting wider. The game is rigged. For a long time this arrangement has been intolerable, but so long as enough people were convinced of the equity of the current system, the prospect of change has seemed improbable. The Panama files and all the other injustices listed here should infuriate us all. It should drive us to campaign harder for a fairer economics, equality of opportunity, democracy and social justice. Such aspirations are not some utopian dream. They are entirely achievable, if only we could liberate the vast riches hoarded by a tiny minority. As Paul Mason recently argued, what is the purpose of developing an economy, if not to create a fair and decent society for everyone? This May, in the local government elections, we have a chance to deliver our collective verdict on a system that rewards greed and punishes hard work. None of us can afford to waste that opportunity.